kebabs: Barcelos Celebrates Scrumptious Kebab Festival at HKV outlet. Food festivals in Barcelos seem to be about innovative concepts and new dishes and this time it’s hot and grilling Kebabs. 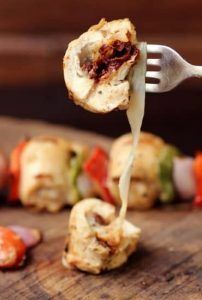 With the launch of Portuguese and Mediterranean kebab menu, Barcelos is celebrating one month long Kebab festival at Hauz Khas Village outlet. 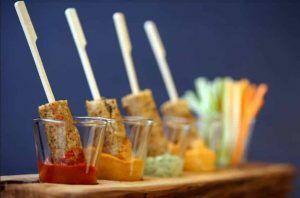 The menu offers an assortment of succulent vegetarian and non-vegetarian kebabs. 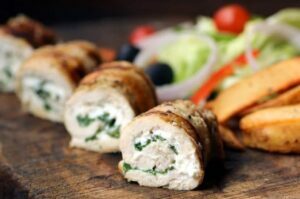 To name few, the menu includes stuffed chicken kebab, chicken shish kebab, cheesy chicken esptada and etc in non – vegetarian priced between Rs 225 – Rs 645. 2. 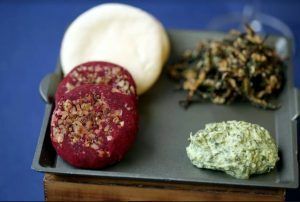 On the other hand, Vegetarian menu includes Peri Peri Paneer Kebab, Lotus Stem & Semolina Kebab, Beetroot Almond Kebab and etc priced between Rs175 – Rs 495. Made with well-balanced spice notes and freshest ingredients, these kebabs are flavourful and done to perfection and each of these has a well-defined flavour, quite different from the other which delights the taste buds. 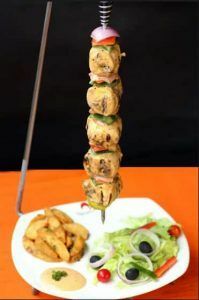 So do drop in at Barcelos and try these scrumptious and succulent kebabs to relish your day. About Barcelos: With a single operation founded in Pretoria, South Africa in 1993, Barcelos has grown exponentially which led it to start franchising in 1998. It has been expanding continuously and became a household name the world over ever since. Barcelos enjoys its presence in 17 countries with 120 outlets. To ensure continuity and excellence throughout the brand the founders of the brand, namely Costa Maziz, johan van Eyk and Beverley Vaskys, are all still actively involved in the operations of the company. Company has a service office in London with its group offices in Centurion, South Africa as well as national distribution centers in Cape Town, Durban, Johannesburg and in Gaborone, Botswana. The company currently employs in excess of 2000 staff and instills ongoing high standards and expectations from all staff at head office and stores alike. VERDICT : So, when you are hungry or your stomach demands some delicious Kebabs, visit Barcelos and enjoy the lazeez kababs.